Auburn senior gymnast Sam Cerio was taken away from Friday's NCAA gymnastics regional on a stretcher with aircasts on both of her legs. 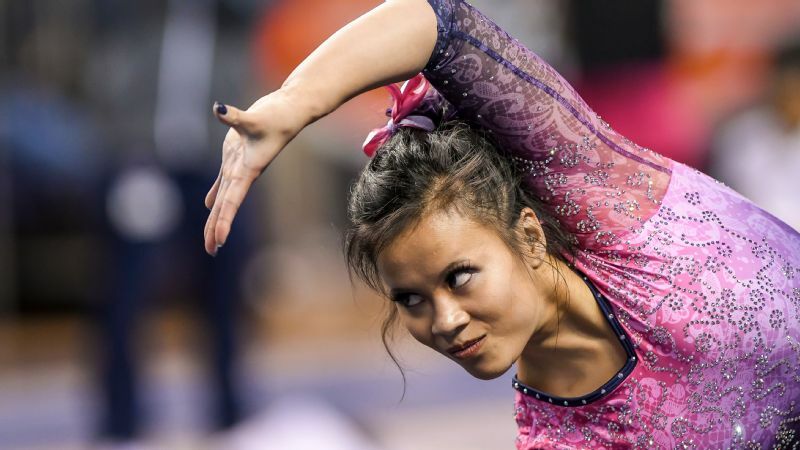 Auburn senior gymnast Sam Cerio was taken away from Friday's NCAA gymnastics regional in Baton Rouge, Louisiana, on a stretcher with aircasts on both of her legs after suffering a severe injury. A 5-foot senior from Huntersville, North Carolina, Cerio landed awkwardly as she was trying to execute a double front on her first tumbling pass. "It was pretty tough to watch," Auburn coach Jeff Graba said, according to the Times-Picayune. "She's a trooper. The last thing she said was, 'Go help the girls.' The girls rallied around her. They're doing this for her right now." Athletic trainers and medical staff tended to Cerio for nearly eight minutes before she was taken off on a stretcher. The 5,537 fans at Pete Maravich Assembly Center gave her a standing ovation. Auburn had not provided a specific update on the extent of Cerio's injuries as of Saturday morning. Cerio, who focuses on the floor and the bars, tweeted her gratitude after the meet, as No. 13 Auburn finished with a 197.075, second behind host LSU, to advance to Saturday's regional final. "She is the heart and soul of our team," Graba said, according to The Advocate. "We wanted more than anything to do this for her." Should Auburn finish in the top two, it will advance to the NCAA championship in Fort Worth, Texas.